Microsoft's official reveal of its new system, the Xbox One, focused mainly on Xbox Live entertainment features such as instant voice commands, gestures, Skype, ESPN, and a veritable smörgåsbord of live television features. We learned about a live-action Halo TV series created in partnership with Steven Spielberg, and we learned about Microsoft's blossoming love affair with the NFL. That's nifty and all, but what we really wanted to see was games. 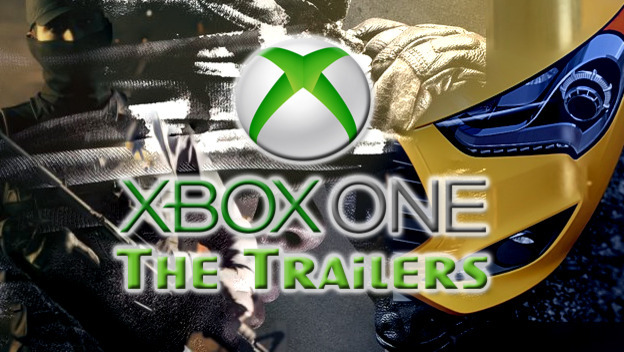 More specifically, trailers for games. Microsoft's rather vanilla offering of game announcements included only one new title, Quantum Break, in the mix. The rest of the titles consist of EA Sports' yearly installments of games: FIFA, Madden, NBA Live and UFC; there’s also a new Forza and a new Call of Duty. Even so, there is some very impressive footage contained therein, and we have gathered these trailers here in one nifty package for your viewing pleasure. Enjoy! EA Sports Ignite, a brand spanking new game engine for sports games, promises more realism, true player motion, vastly improved maneuvering abilities, a greater field of vision, and almost human-like intelligence. New technology allows players to make decisions with four times more calculations per second than previously, ten times more animation and detail, and the games will harbor living worlds complete with 3D crowds, dynamic sidelines, and all the cheering (or booing) that comes with it. Quantum Break is a new game developed exclusively for Xbox One and brought to us by Remedy Entertainment (think Alan Wake and Max Payne). The announcement hinted that the game's focus will be on its dramatic storyline, and will combine intense gameplay with the drama of live-action, scripted television. Remedy's goal is to blur the line between television and gameplay. The game's tag line, "Time is the fire in which we burn," is a suitably dramatic match to the teaser video, which features both live action and gameplay footage. Forza Motorsport 5 will be available at launch, so fans of the series don't have long to wait to experience what looks like an absolutely gorgeous installment in the Forza series. This franchise just keeps getting better and better, graphics wise. And while we didn't learn much about the game's features, the richness and detail showcased in the teaser video is a very good reason to look forward to learning more. Call of Duty: Ghosts. What can we say about Call of Duty? The franchise definitely needed some new blood, and hopefully that's what we'll get with a brand new world, a brand new narrative, and a..wait for it...brand new engine. Admittedly, the new engine allows for a level of graphic fidelity that we have never seen before, and that's saying something considering the Infinity Ward games have traditionally been some of the most visually impressive FPS games out there.